Microsoft Edge is not as bad as you might think. This web browser comes with a number of built-in features that are not available on other browsers. So, don’t too hurry to install new browser on Windows 10. Microsoft Edge itself is the default web browser on Windows 10. It’s projected to replace Internet Explorer although Internet Explorer itself is still available on Windows 10. The vast majority of Windows 10 users immediately remove Microsoft Edge from the default web browser on Windows 10 for other browsers. But, — as I said earlier above — Microsoft Edge is not as bad as you thought. Before thinking of replacing Microsoft Edge, try the following things to get the most out of the browser. By default, the tab of Microsoft Edge is filled with some news from from MSN, a news portal owned by Microsoft. There are also some popular sites shortcuts lie above the news. For those loving something clean, the default tab of Microsoft Edge is really annoying. But, you can get rid of the news as well as popular site shortcuts if you want to make your tab cleaner. Go to Settings menu which you can access by clicking the three-dot button on the top right corner. 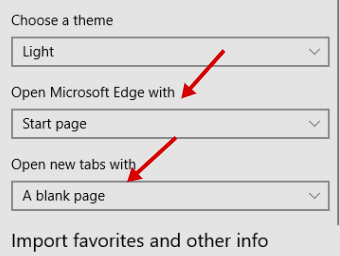 As the Settings panel opens, set the Open Microsoft Edge with option to Start page and Open new tabs with option to A blank page. 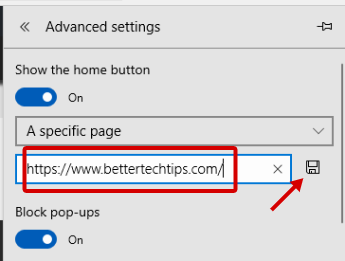 Accessing Bettertechtips.com is a part of my job. Since I have to visit this website everyday, I need a way to quickly access this website in a single click. If you also have a website you have to work with in your daily basis, you can set a home button of it. This way, you can access the website by just clicking the home button which is located next to the reload button next to the address bar. On the Settings panel, scroll down your mouse to the Advanced settings section and click the View advanced settings button. Enable the home button by sliding the Show the home button button. Select A specific page option on the drop-down menu and type the URL of the website you want to set as the home button and click the floppy disk icon to save the change. In other browsers, favorite is known as bookmark. Favorite is pretty helpful to allow you accessing web pages in a single click. While you can only add a single web page on the home button, favorite allows you to add as many web pages as you want. 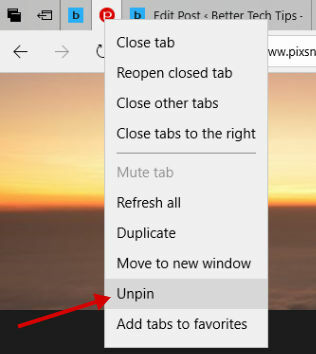 You can access favorites in Microsoft Edge by clicking the star icon on the icon bar. While to add a new favorite you can click the star icon within the address bar. 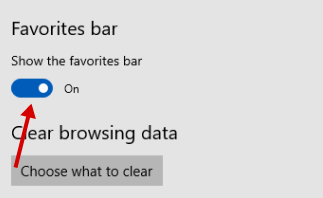 The other way to access favorites in Microsoft Edge is by enabling favorites bar. By enabling the favorites bar, you can access your favorites with a singe click. However, enabling favorites bar can take a little space your Microsoft Edge window. To enable favorites bar. As the Settings panel appears, go to the Favorites bar section and slide the Show the favorite bar button. 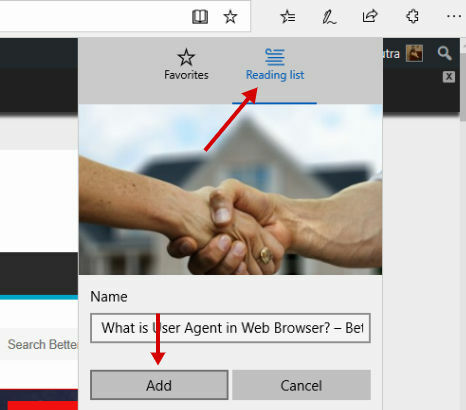 Microsoft Edge uses Bing as the default search engine. Everything you search on the address bar — unless it is a valid URL — will be directed to Bing. Both Microsoft Edge and Bing are owned by Microsoft so don’t ask why Microsoft Edge uses Bing as its default search engine instead of Google. But, Microsoft Edge is no problem if you want to change the default search engine. As the Settings panel appears, scroll down your mouse to the Advanced settings section and click the View advanced settings button. 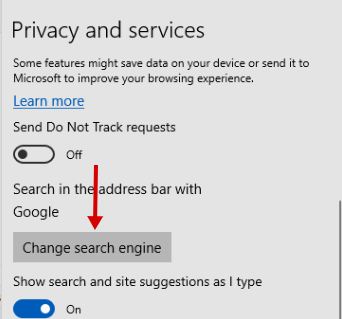 Scroll down your mouse to the Privacy and services section and click the Change search engine button. Ads are still the major income source of most websites. This is actually not a problem at all as long the website owners don’t sacrifice the user experience. The problem is that there are some websites that display too much ads. From pop-up ads, display ads, auto-playing video and so on. If you have to read an article on a website that has too much distractions — like ads — Edge has a nice solution in the form of reading view. You can enable to this feature to get rid all of the distractions of. Visit the web page you want to read. Click the book icon within the address bar. Reading view mode itself is customizable. You can change the text size as well as page theme. Click anywhere within the current page on the reading view mode and you will see a floating bar as follows. 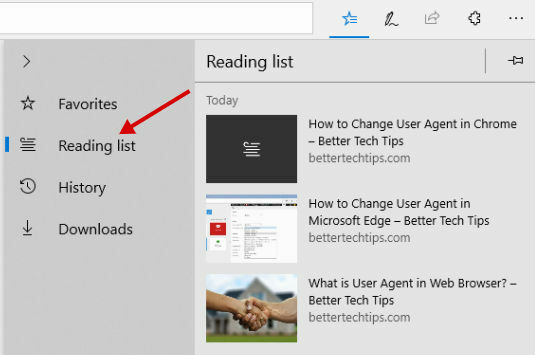 Microsoft Edge has a read-it-later feature that allows you to save interesting articles you found on the internet to read them later. This feature is pretty helpful if you are conducting a research. You can use it to save all of the articles related to the research topic you are conducting and remove them once you are done with your research. Simply visit a web page you want to read it later and click the star icon within the address bar or simply press Ctrl+D buttons on the keyboard. A pop-up dialog will appear. Switch to the Reading list tab and click the Add button. Click the Hub button (the star icon on the icon bar). As the Hub panel opens, click the Reading list menu and you will see all of the articles you saved. 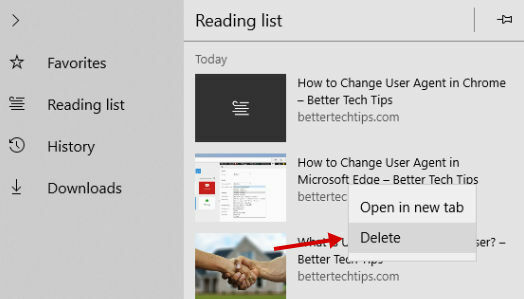 Right-click the article on the Reading list and select Delete. Everyone is never enough with one tab when working with a web browser and sometimes you want to open multiple tabs at once to save time. Microsoft Edge allows you to save all of the tabs you open and restore them later. This feature is pretty useful if you work with multiple tabs today and have to work the same tabs tomorrow. Simply click the Set these tabs aside button next to the tittle bar. Please note that all of the open tabs will be closed once you pressed the Set these tabs aside button. When browsing the web, you sometimes stumbled on an interesting web page and want to share it to your followers on Twitter or Facebook friends. Unfortunately, not all websites provide social share buttons to enable visitors to share the page they are reading quickly. Microsoft Edge offers a Share feature which its button you can find on the icon bar. This feature allows you to share the current page you are reading instantly. You can share the page via email, Skype or by direct link. You can also share the page via Twitter and Facebook but you need install the apps first. 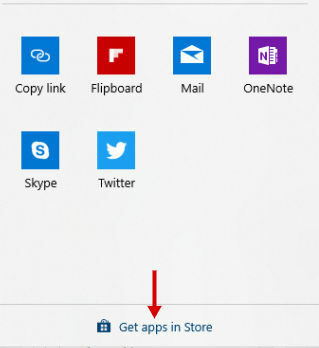 Simply click the Get apps in Store button to add a Twitter or Facebook app. Microsoft Edge offers a number of ways to allow you quickly access the websites you work with most frequent. You can add the websites you frequently visit to favorites or save the current session to restore it later. In addition, Microsoft Edge also allows you to pin the current page you are visiting. 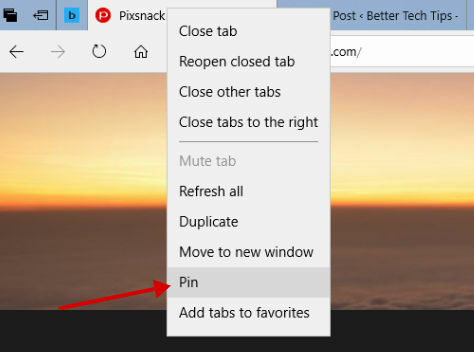 The pinned page will be moved to the left most of the window bar and will always be there (even if you close Microsoft Edge) unless you unpin it. Right-click the title bar of the page you want to pin and select Pin. Right-click the pinned page and select Unpin. Microsoft Edge is not as bad as you might think. This web browser comes with a number of handy features. At least, Microsoft Edge is way better than Internet Explorer. 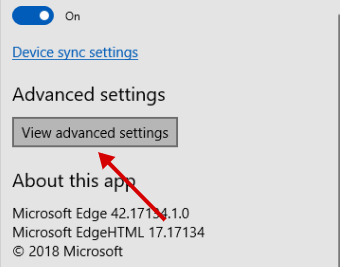 If you are not enough with the default features offered by Microsoft Edge, there are also Extensions you can install to enhance the functionality of Microsoft Edge. The Extensions itself started available on Windows 10 Anniversary Update on August, 2016. Microsoft Edge extensions are distributed via Microsoft Store. 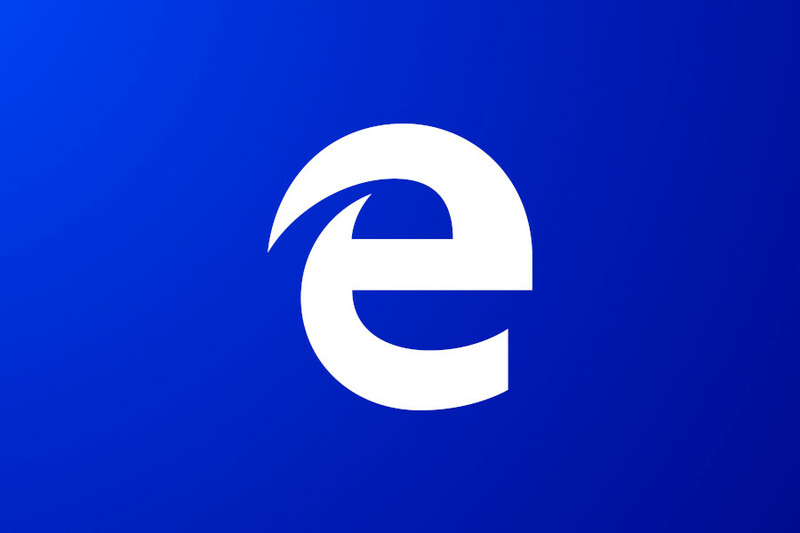 Before deciding to use other browser, why not giving Microsoft Edge a try?